There are at least 848 different Large Cap Value mutual funds and at least 6137 mutual funds across twelve styles. Do investors need 511+ choices on average per style? How different can the mutual funds be? Those 848 Large Cap Value mutual funds are very different. With anywhere from nine to 1124 holdings, many of these Large Cap Value mutual funds have drastically different portfolios, creating drastically different investment implications. The same is true for the mutual funds in any other style, as each offers a very different mix of good and bad stocks. Large Cap Blend ranks first for stock selection. Small Cap Growth ranks last. 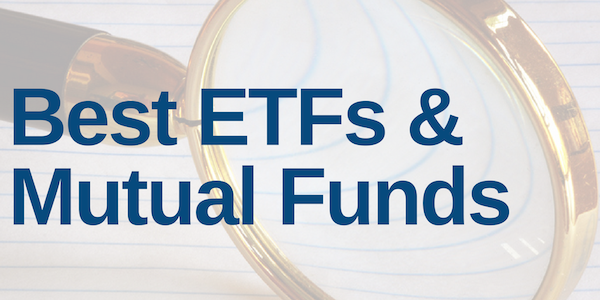 Details on the Best & Worst ETFs in each style are here. We think the large number of Large Cap Value (or any other) style mutual funds hurts investors more than it helps because too many options can be paralyzing. It is simply not possible for the majority of investors to properly assess the quality of so many mutual funds. Analyzing mutual funds, done with the proper diligence, is far more difficult than analyzing stocks because it means analyzing all the stocks within each mutual fund. As stated above, that can be as many as 1124 stocks, and sometimes even more, for one mutual fund. Anyone focused on fulfilling the fiduciary duty of care recognizes that analyzing the holdings of a mutual fund is critical to finding the best mutual fund. Figure 1 shows our top rated mutual fund for each style. Amongst the mutual funds in Figure 1, Deutsche DWS CROCI U.S. Fund (DCRUX) ranks first overall, SunAmerica AIG Focused Dividend Strategy Fund (FDWSX) ranks second, and Royce Small Cap Value Fund (RVVHX) ranks third. Fuller & Thaler Behavioral Small Cap Equity Fund (FTHFX) ranks last. Deutsche DWS CROCI U.S. Fund (DCURX) is not only the top-rated Large Cap Value mutual fund, but is also the overall top-rated style mutual fund out of the 6137 style mutual funds that we cover. The mutual funds in Figure 1 all receive an Attractive-or-better rating. However, with so few assets in some of the funds, it’s clear investors haven’t identified these quality mutual funds.